Gone are the days of the kerosene lantern, and with them the tricky procedure of pre-burning and replacing mantles, not to mention the need to pack extra fuel. But that classic, rugged aesthetic lives on (albeit with some modern upgrades) in the Barebones Forest LED Rechargeable Lantern. With its large ring-type handle and durable metal construction, its easy to forget the light is electronic and that there's a handy USB charging cord in the base. This bright lantern would look right in the hands of a prospector or illuminating a log cabin — without appearing vintage-gimmicky. 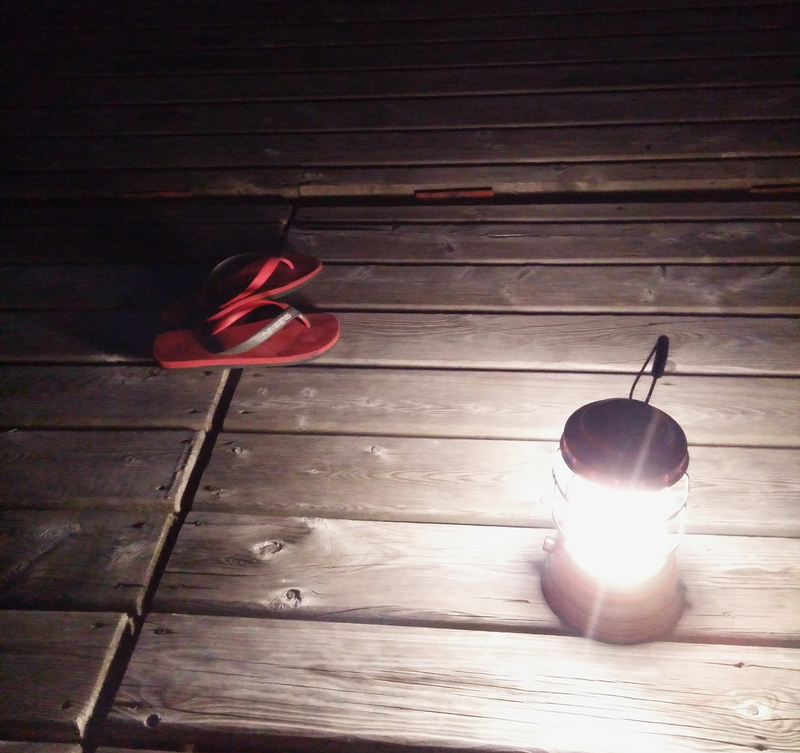 Mine (the carmine-red version) has been used to light up everything from tents and Ontario provincial park trails to docks and a whole boathouse board game tournament in Muskoka during a rain storm. One of the most useful features of the Barebones Forest LED Rechargeable Lantern is the light dial, which means lumens can be set anywhere between one and the surprisingly bright top end of 325, as surroundings require. The large, light fixture-less boathouse, for instance, called for maximum lumens — and as three hours flew by over crokinole and “Ticket to Ride,” it was necessary to keep the lantern plugged in via a wall adapter to recharge simultaneously. Set at low-to-medium over four evenings while camping, however, the battery never bottomed out. Output is a pleasing soft white — not quite the warm yellow of the old gas lanterns, but far from the harsh blue-white sometimes associated with LEDs. The lantern’s own USB charging cord is nested in its base, and the USB port — for recharging phones or other small devices — is located on the backside under a rubber cap. This can be convenient in a pinch if camera and astronomy apps have drained your phone battery (perish the thought that it would be emails and texting in the wilderness). Be warned, however, that while the lantern’s lithium-ion pack holds enough juice to almost fully power-up an Android phone or iPhone, there won’t be much, if anything, left over for light. Away from laptops, car adapters and wall outlets, this feature is best reserved as a nifty emergency precaution. Lightweight but very sturdy, the Barebones Forest LED Rechargeable Lantern is one of those things that keeps working and (you could argue) looking even better the more it’s used and battered. This is an excellent blend of modern practicality and timeless design suited to all kinds of outdoor scenarios.